The Saxony Duck is a breed of domesticated, very rare, crossbred ducks that was developed in Germany. The Saxony is not a very old breed, and is less than a century old, but is almost on its way to extinction. 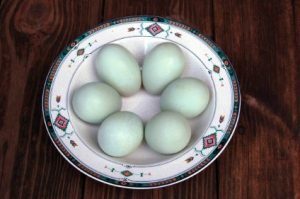 It was created mainly as a ‘dual-purpose’ breed – for the production of both meat and eggs. 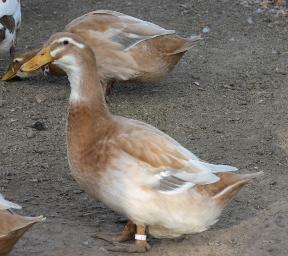 However, this colorful waterfowl is no less popular as a show bird, and is considered to be beautiful. The breed is suitable both as pets as well as for watching. 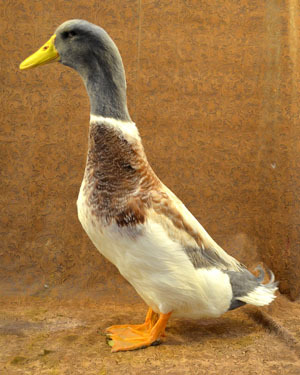 Over the years, there have been a number of Saxony ducks winning at the waterfowl shows. It was in the early 1930s that, this breed was created by Albert Franz of Chemnitz, Germany, who wanted to create a table duck that would mature within around 10 weeks, as also, be suitable for shows. He crossed Rouen, German Pekin, and Blue Pomeranian ducks, and the result as a success. Later, in 1934, Franz took his duck to the Saxony show, where it became popular, but matters didn’t go further up to the point of the fowl being recognized as a separate breed. 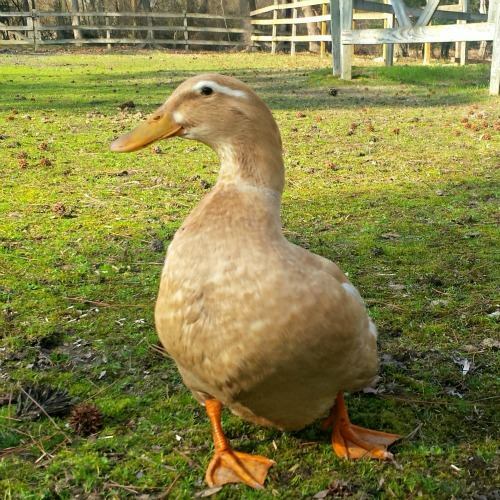 However, this original stock of this duck was almost lost during World War II after Franz was taken captive. In 1952, after Franz was freed, he conducted a fresh breeding program and redeveloped the breed. 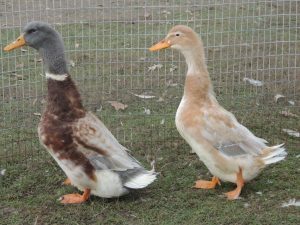 Franz’s effort proved to be a success this time, as the duck was finally recognized in 1957 into the East German Standards, and in 1958 in the West German Standards. More than two decades later, in 1982, it was officially recognized in the British Waterfowl Standards. In 1984, American breeder David Holderread, the creator of the Golden Cascade breed, imported a few ducks in his own country. In 2000, the breed was recognized by the American Poultry Association by being admitted to the ‘Standard of Perfection’. A few years back, the American Livestock Breeds Conservancy has declared the North American stock as critically endangered. They are excellent layers, laying around 200-240 eggs each year. The eggs are extra large, and white to creamy white or bluish green in color. They make a very meaty table bird. The quality of meat of this duck is tender and tasty. Categorized as a heavy breed, the live weight of this breed is 8-9 at the age of slaughter. The market weight is around 6-8 pounds. 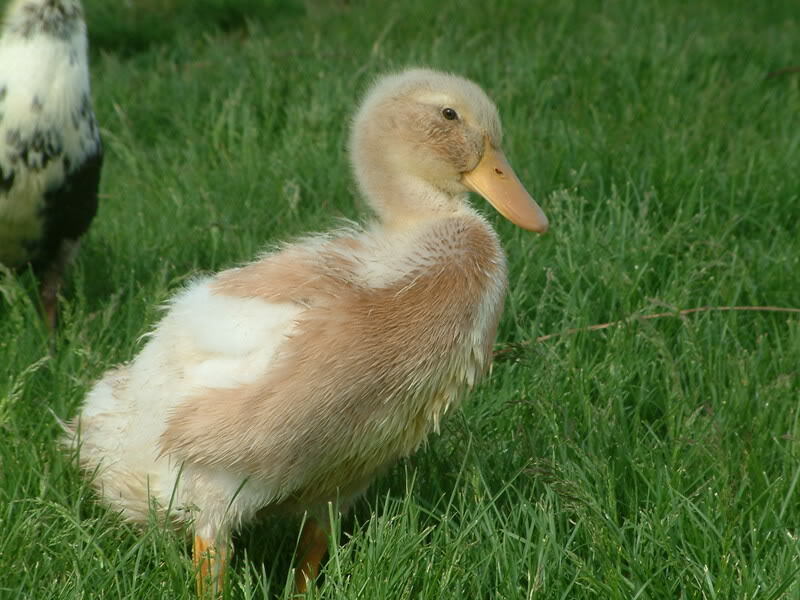 The Saxony Duck got its name from the Saxony Show (held in the Saxony region), after it was shown to public for the very first time. 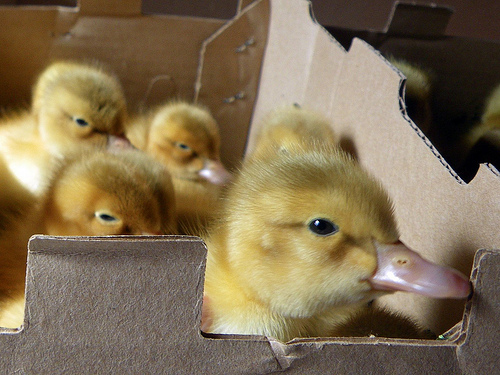 A 2000 census showed that there are only around 5 breeders of this duck left in the United States. It is thought that, currently there are lesser than 500 individuals left in the US.